Mr. Ivey's concept for the Tiny Tots performance at Projekt FX was "Minions". Check DJ and his fellow Minions out at 4:15 in the clip below! DJ is the Minion on the far left, then the one in the center with the break dance solo. To view more of the Projekt FX performances, >>> click here <<<. DJ has been with Studio FX for almost two years now. The studio has definitely fostered his love of dance. The teachers are so supportive and encouraging, especially for him since he's been the youngest in many of the classes he's taken. The older, more experienced kids have been great mentors to my son as well. They guide him during class which helps with his comfort and confidence. 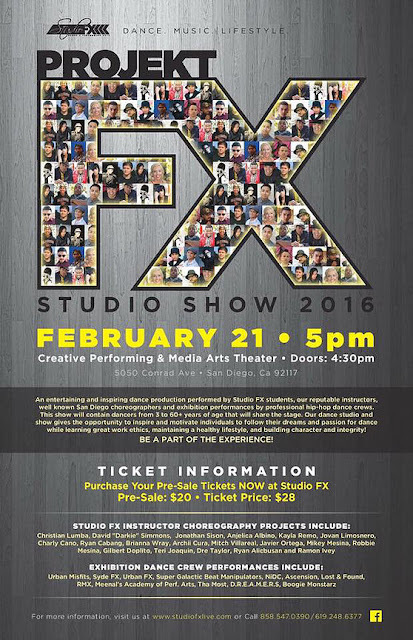 I highly recommend Studio FX for any kids who love hip hop dance! Check out http://www.studiofxlive.com/ for their complete schedule of classes!